On Monday Night October 15th at 7pm, we will have renown British pastor, Ian Hamilton, preaching on marriage and the Reformation, as well, we will have a special Banner of Truth bookstore set up with classic selections on faith, family and more. 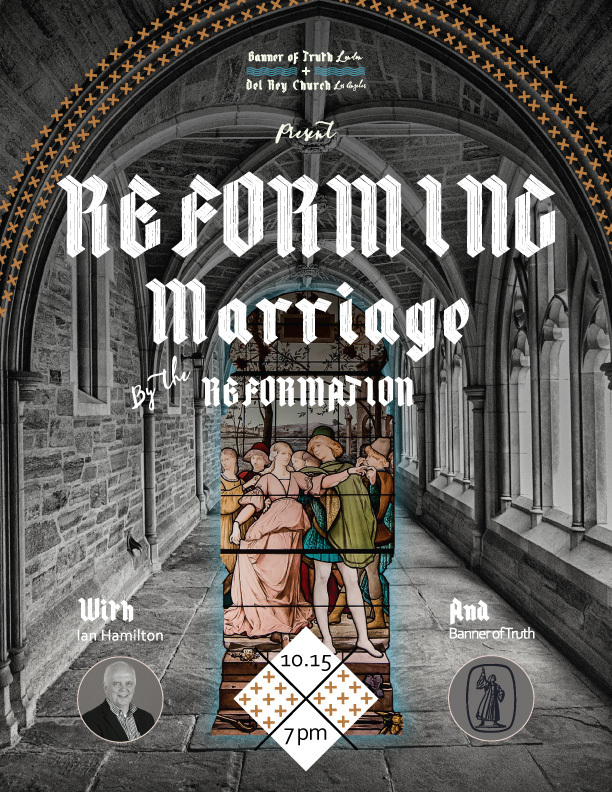 It will be an evening of worship, fellowship and learning about how marriage can be reformed and was reformed in the great Protestant Reformation. Spread the word - Banner of Truth is coming to Los Angeles for one night at Del Rey Church!